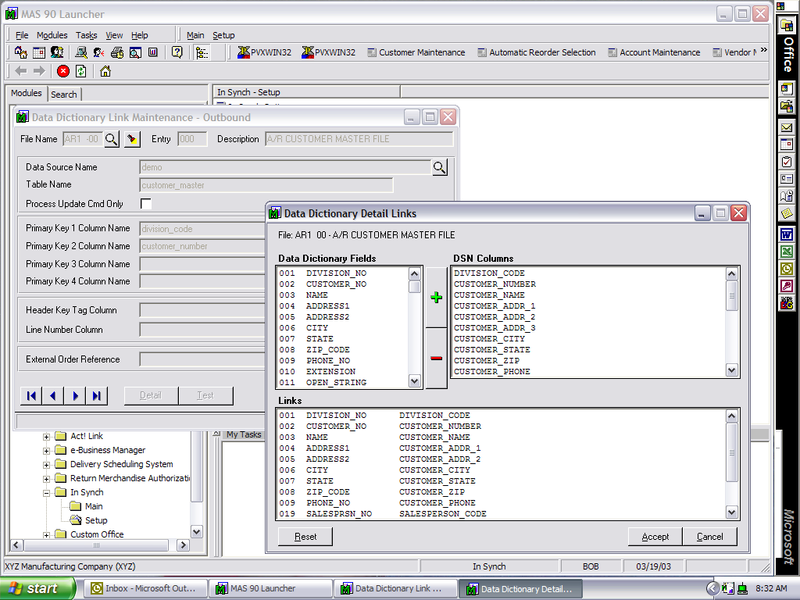 IN-SYNCH and the 3dcart connector provides real-time, highly secure data synchronization with for customers who use Sage 100 (formerly MAS 90 and MAS 200) and Sage 100 SQL, from versions 3.71 to the latest available. IN-SYNCH and the 3dcart connector provides real-time, highly secure data synchronization with for customers who use Sage 100 (formerly MAS 90 and MAS 200) and Sage 100 SQL, from versions 3.71 to the latest available. We work with our customers to outline the data you will access and send to/from 3dCart. Have multiple carts? No problem! Integrate orders, tracking, inventory, pricing & more!